Little Eritrea boasts diverse landscapes that include mountains, an arid coastline, and fertile swathes of land to the west. With tourism in Eritrea still a burgeoning industry, the country represents a place of adventure for daring travelers looking to get of that beaten path. The Art Deco architecture of the capital shows off the cultural complexity and interesting facets of the former Italian colony's recent history, while a number of archaeological sites provide evidence of once-thriving ancient kingdoms. The country gained independence from Ethiopia in 1993, but the areas bordering Sudan, Ethiopia, and Djibouti remain dangerous and, as a result, off the map for most foreign tourists. Eritrea is in Africa. 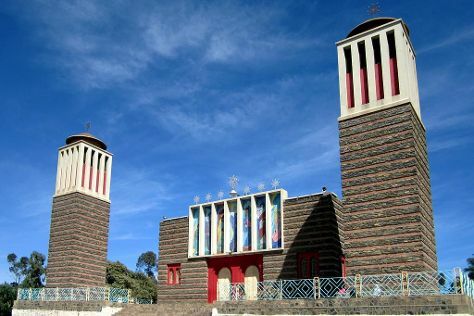 Add Eritrea and other destinations to your itinerary using our Eritrea trip planner, and learn about what to see, what to do, and where to stay.